We hope that you enjoyed our 2018 Holiday Wish List For Wildlife Images, and that you were able to contribute a list of your own following our previous post. If you haven’t yet read the article, click here to do so if you’d like. We thought a similar list for landscape enthusiasts would be wonderful, as well, so here is our 2018 Holiday Wish List for Landscape Images we’d like to get in the coming new year! Coming in at number ten is The Watchman. Standing tall above the valley floor at Zion National Park is The Watchman. This tall and unique rock formation is probably the most photographed icon in Zion, often with the soft glow of the sun setting on its face. 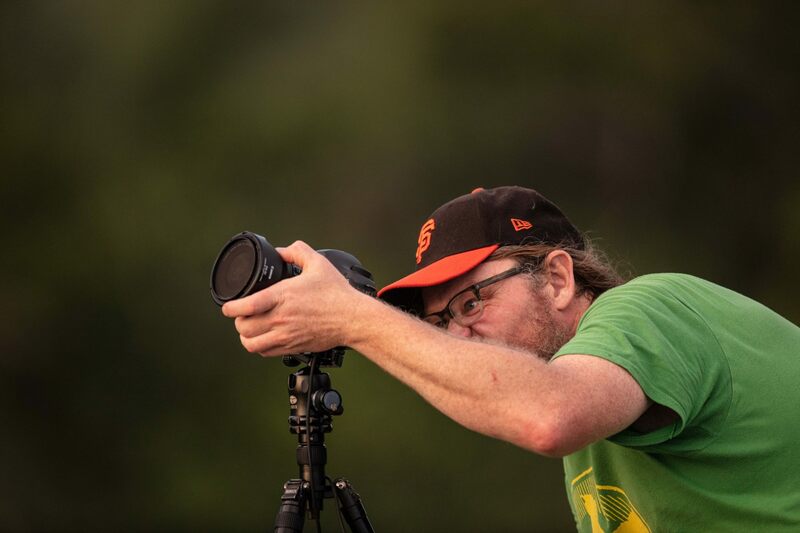 Most landscape photographers will need a superior Watchman shot in their collection, and we agree that you should as well! 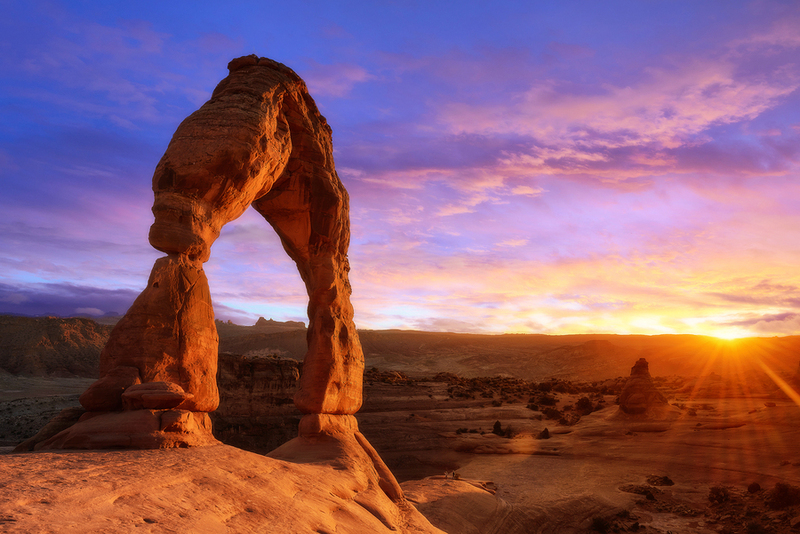 Just across the state of Utah stands one of the more famous rock formations in the desert southwest, Delicate Arch, number nine on the list. Arches National Park is home to this free-standing arch that has become a widely recognized symbol of the state of Utah, as well as one of the most famous geologic features in the world. The light opening beneath the arch is 46 feet high and 32 feet wide, making it the largest free-standing arch in the park. Our brand new Canyons of Utah: Arches & Canyonlands Tour will get you to the perfect spot to snag your classic image of Delicate Arch as the sun sets over the rock face, and the La Sal Mountains in the background. 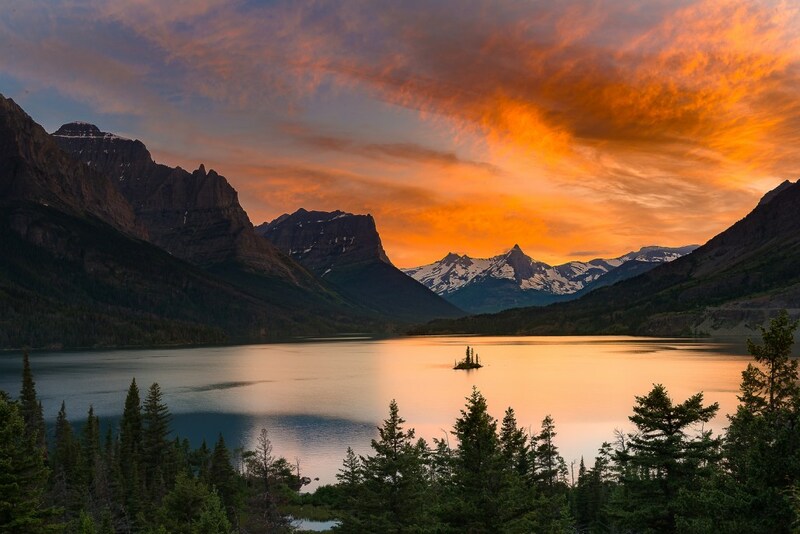 Glacier National Park is considered by many to be among the most beautiful mountain regions of the world. Jagged peaks rise to dizzying elevations and then drop into lush, glacially carved lakes and valleys. Like St. Mary Lake, the number eight spot on our list of coveted landscapes for 2019. St. Mary Lake, with a backdrop of glacier-carved peaks, spans almost 10 miles with the famous Going-to-The-Sun Road paralleling the lake along its north shore. This drive along St. Mary Lake provides some of the most incredible vistas available in Glacier. Picture yourself standing barefoot in the sand, waves crashing to your side, and the deep orange Hawaiian sun setting through towering tropical clouds on the horizon. This described scene comes in at number seven on our list of our most desired landscape shots for 2019. 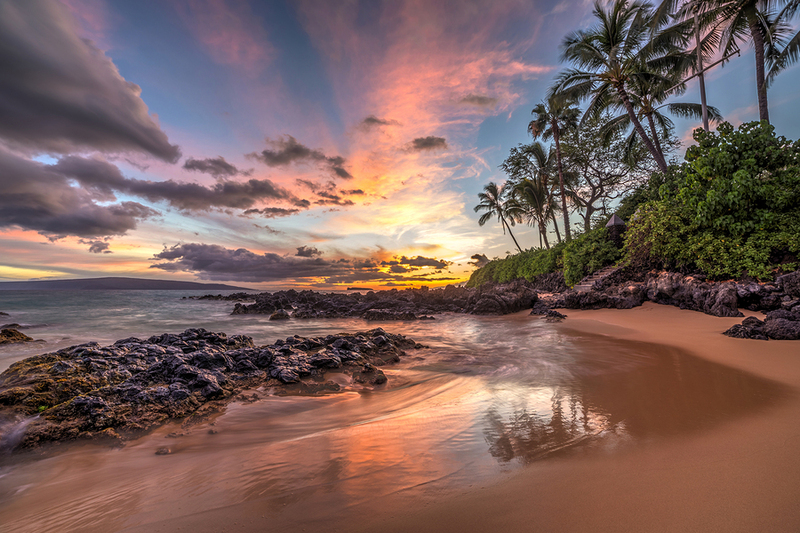 A great deal of Hawaii’s draw can be attributed to its beaches and their sunsets. Gorgeous red, orange, pink and blue hues leave us all in awe until the last drop of light fades away below the western horizon. The Narrows checks in at number six. This section of the Virgin River in Zion Canyon, at Zion National Park, has become world famous from its sculpted sandstone walls and unique beauty. Sections of the sometimes 2000 foot high cliffs narrow down to just 20 – 30 feet wide. Images made from the Narrows trail (which is literally the Virgin River) almost always prove to be outstanding as the towering canyon walls, cool river, soft light and glowing colors open the door for the creative process to thrive. 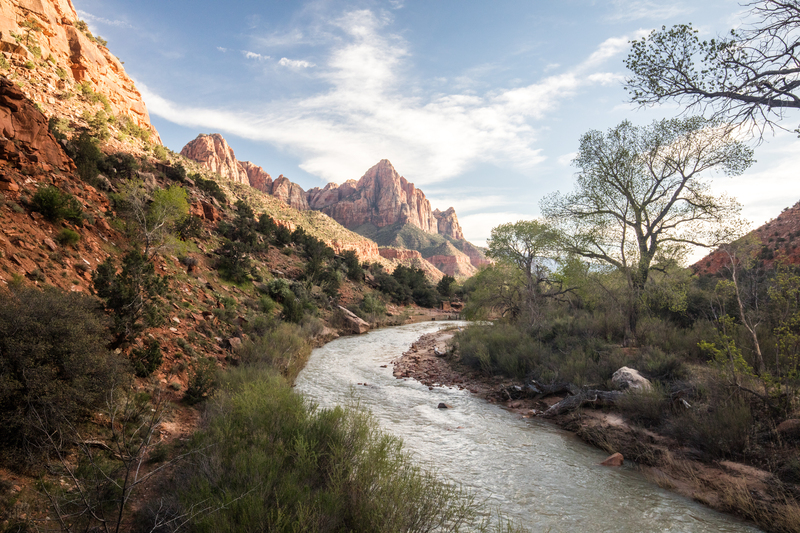 Our Canyons of Utah: Zion & Bryce Tour has already produced two locations on this list, and does so again at number five! 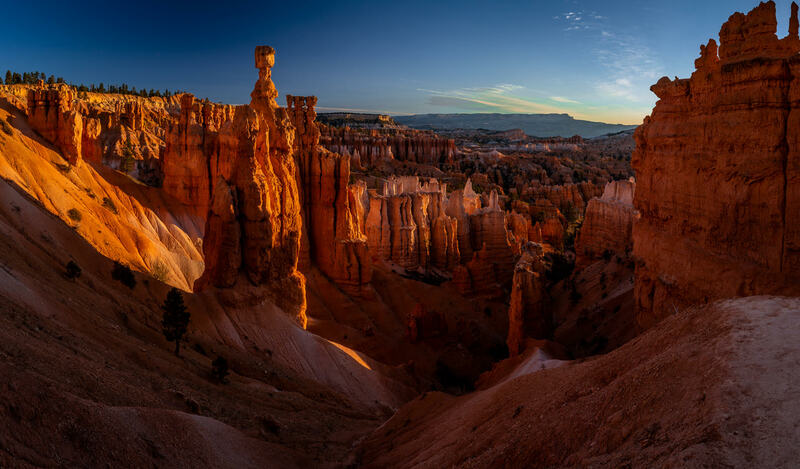 The amphitheater at Bryce Canyon National Park is a collection of eroded rock called Hoodoos that glow in the soft light of both morning and evening. The unusual nature of the rock, combined with the pink and white colors create a scene that can be inspiring as a landscape or panoramic. The uniqueness of the hoodoos are from The hoodoos take center stage here at Bryce Canyon. Water, ice and gravity are the forces at work on this landscape. It is these three forces combined with differential erosion of the rock that produces a different morphology than that of any other area in the world. The pink mud and siltstones erode much faster than the white limestone above. This causes the undulating and somewhat haunting shapes of the hoodoos. 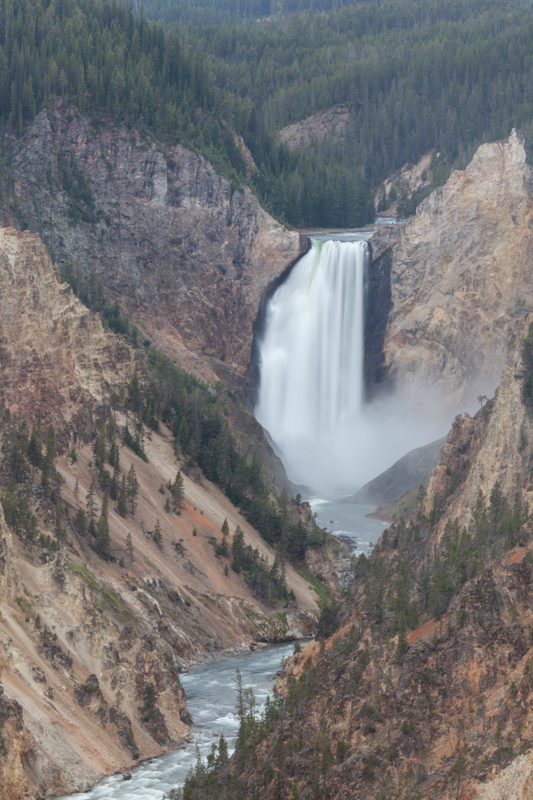 Yellowstone’s famous Lower Falls takes the number four position. Lower Falls is the biggest waterfall in Yellowstone and also hands down the most famous. Water flowing north from Yellowstone lake first pours over Upper Falls before finding Lower Falls where it then drops 308 feet into the Grand Canyon of the Yellowstone, a 1,000 foot chasm. Shooting Lower Falls from Artist’s Point allows for us to frame a classic composition of the Yellowstone River cutting through the Grand Canyon with Lower Falls as the backdrop. You’ve seen this shot. You want this shot. You can have it. 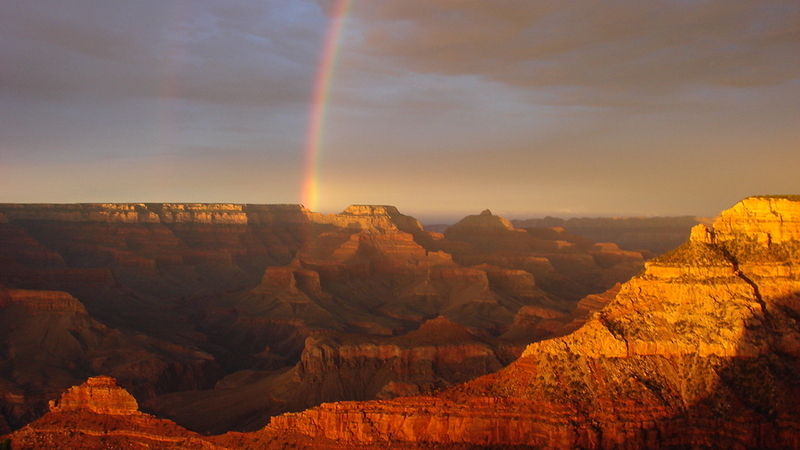 Number Three Each summer at Grand Canyon, as the calendar changes to July, the Southwest Monsoon thunder and lightning storms dot the vast open skies of Arizona, and come in at number three on our wish list. Monsoon rainstorms bring with them devastating curtains of rain, electric shows of lighting, and towering and colorful cloud formations that fill the normally blue sky. The always photogenic Grand Canyon gets only better when a dramatic sky can be added to the composition. And there is no better sky in Arizona than a summer monsoon. Look for a Backcountry Journeys tour coming soon! Rising 3,000 vertical feet above the valley floor, the sheer granite face of El Capitan acts as a beacon high over Yosemite National Park, drawing the eye of visitors, photographers and rock climbers, alike. 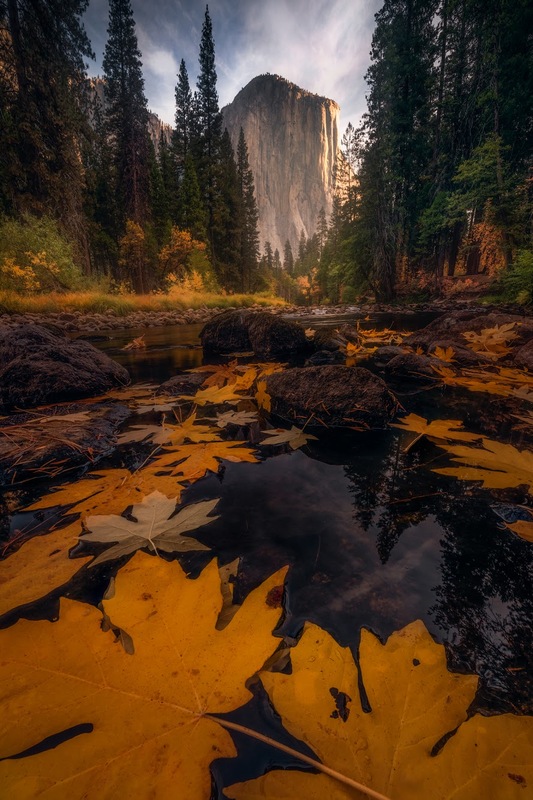 It is an unmistakable scene known world-wide, therefore framing El Capitan from the Merced River is highly sought after and is number two on our list. Yosemite National Park is easily one of the most dramatic and spectacular alpine landscapes in the world. From the soaring heights of El Capitan and Half-Dome to the dramatic fields of mountain wildflowers and mesmerizing waterfalls – Yosemite is really a photographer’s paradise. 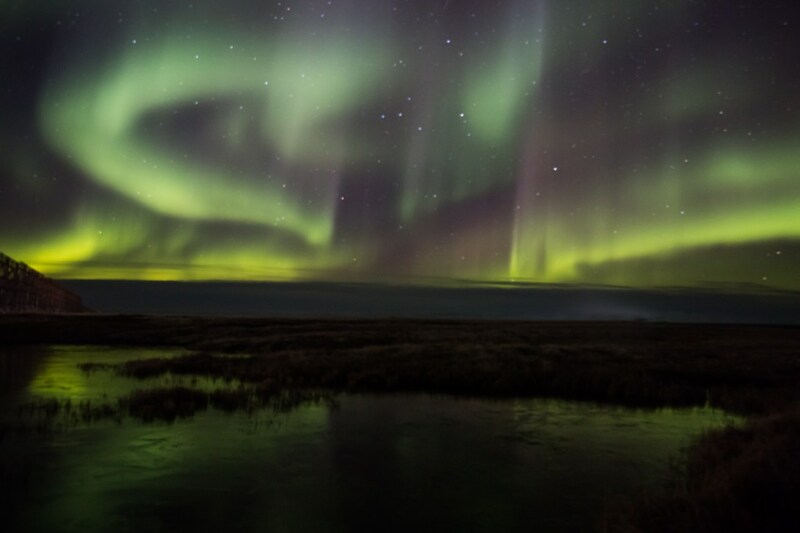 There is simply nothing like seeing the Aurora Borealis, and we just can’t contain our stoke levels when thinking about photographing the enchanting Lights of the Northern Hemisphere. The lights are actually collisions between electrically charged particles from the sun that enter the earth’s atmosphere. While Earth is constantly being bombarded with debris, most of the time the planet’s magnetic field will deflect rays and particles, including those from the sun. Particles discharged from the sun travel 93 million miles toward Earth before they are drawn toward the magnetic north and south poles. As the particles pass through the Earth’s magnetic shield, they join with atoms and molecules of oxygen, nitrogen and other elements, resulting in the glittering presentation of colored light in the night sky. The result is one of the most fantastic displays on earth. And we feel they deserve the number one spot on this list. So there you have it! But, again, this is our list. Feel free to leave your most sought after landscapes in the comments section below, we’d love to know where you’re most interested in seeing and photographing in the new year! Happy Holidays to you and yours from Backcountry Journeys!